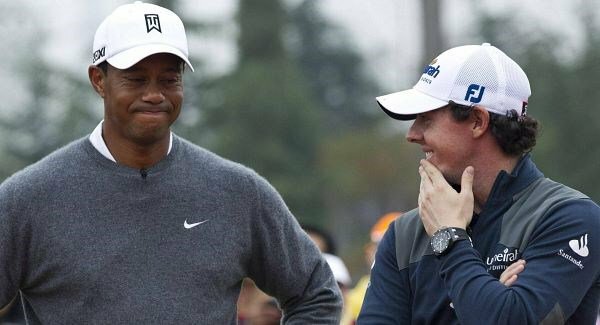 Rory McIlroy believes Tiger Woods can walk away from golf with his head "held extremely high" if he is unable to return to competitive action. And despite giving a positive update on his fitness just five days earlier, Woods acknowledged his career could be over during a press conference on Wednesday ahead of the Presidents Cup, where he is an assistant captain. Speaking after an opening 67 in the British Masters, McIlroy said: "Only he knows whether he can do it and he’s taking it very slowly. "I spent a bit of time with him over the past few months and he’s waiting on his doctors to tell him when he can do things again. He’s going to take their advice and not be maybe quite as stubborn as he was maybe back in the day. "But look, if he doesn’t play again, he’s been the greatest player that I’ve ever seen. He probably played the greatest golf that anyone in my lifetime has seen. I didn’t really see Jack (Nicklaus) play. Jack has a better record but I don’t know if he played better golf. "If this is it, he doesn’t have anything to prove to anyone. He can walk away from this game with his head held extremely high and he’s done wonders for this game. "I don’t think there’s a single figure in golf who did more for the game in terms of bringing different groups of people into the game, different ethnicities, different age groups, made golf cool in the 90s, when it really needed an injection of something. "So he’s a legend of the game and if this is it, then everyone should just applaud what a great career he’s had.